New home sales fell in December, but sales for 2012 were the strongest since 2009. New-home sales slipped last month, according to the federal government, but were strong enough to cap 2012 as the best year since 2009. New-home sales fell 7.3% in December from the prior month to an annual rate of 369,000, said the U.S. Census Bureau. 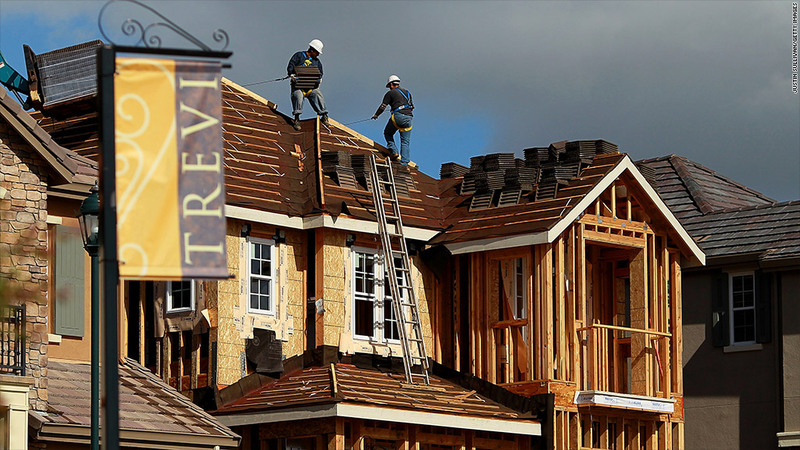 That's compared to November's revised annual rate of 398,000 new home sales. Last month's rate of sales was significantly lower than expectations. A consensus of economists surveyed by Briefing.com had forecast an annual rate of 385,000 new home sales. The real estate market has been one of the stronger sectors of the economy, showing signs of recovery in recent months, after the housing bubble burst more than five years ago. The nationwide median sales price of a new home in December climbed 1.3% to $248,900. For all of 2012 the median sales price was $243,600, up 7.2% from the prior year. Home sales are being driven by low mortgage rates, lower unemployment and a rebound in home prices, which has prompted purchases by those who were waiting for the market to hit bottom. The market for existing homes has also been strong. On Jan. 22, the National Association of Realtors said that December sales of previously-owned homes was down slightly from the prior month, but up 12.8% from the prior year. Existing home sales in 2012 totaled 4.65 million units, up 9% from 2011, and the strongest year since 2007.